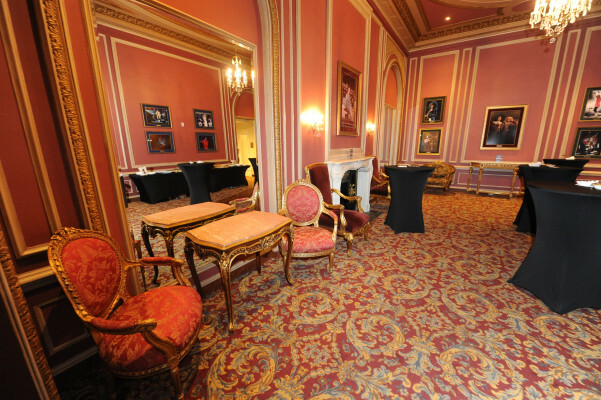 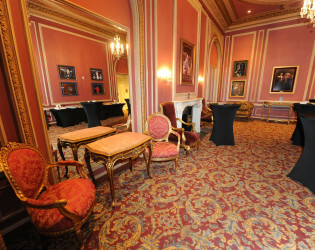 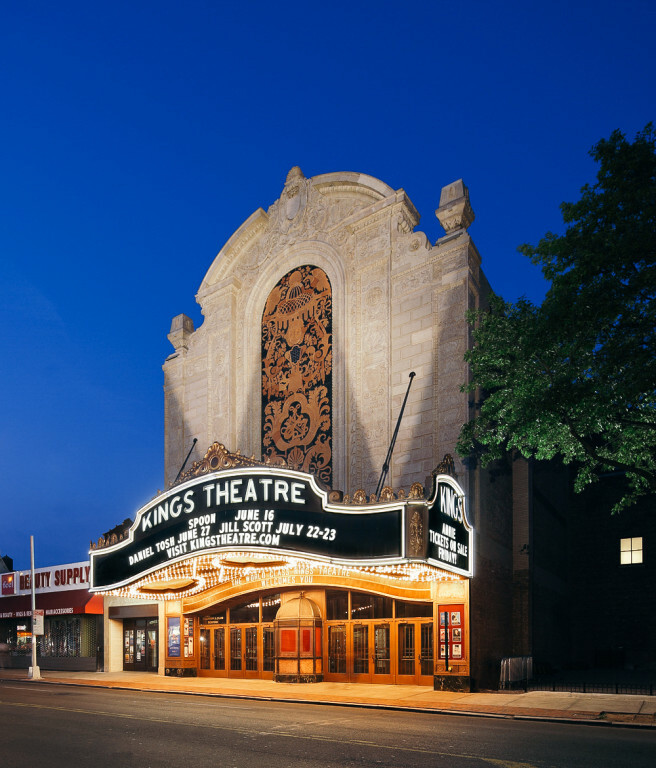 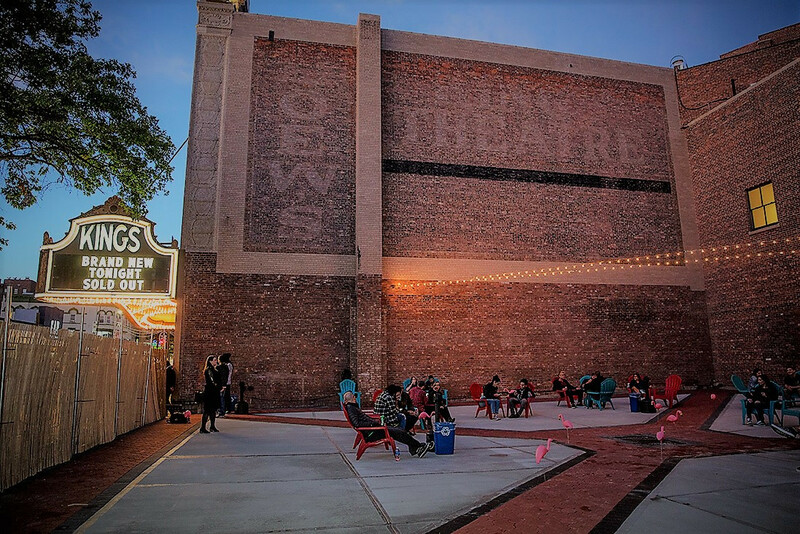 The newly restored Kings Theatre​ is the perfect location for your next event. 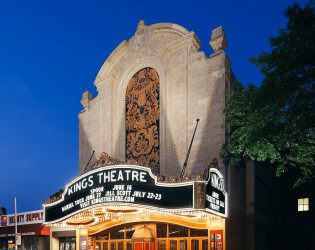 The Kings Theatre features high curved ceilings, ornate plaster walls, wood paneling and a glazed terra-cotta ornamental façade. 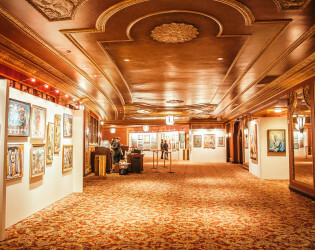 The classic 20th-century movie palace was inspired by the French Renaissance Revival style of the Palace of Versailles and the Paris Opera House. 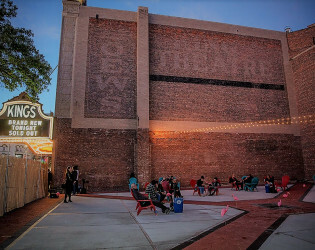 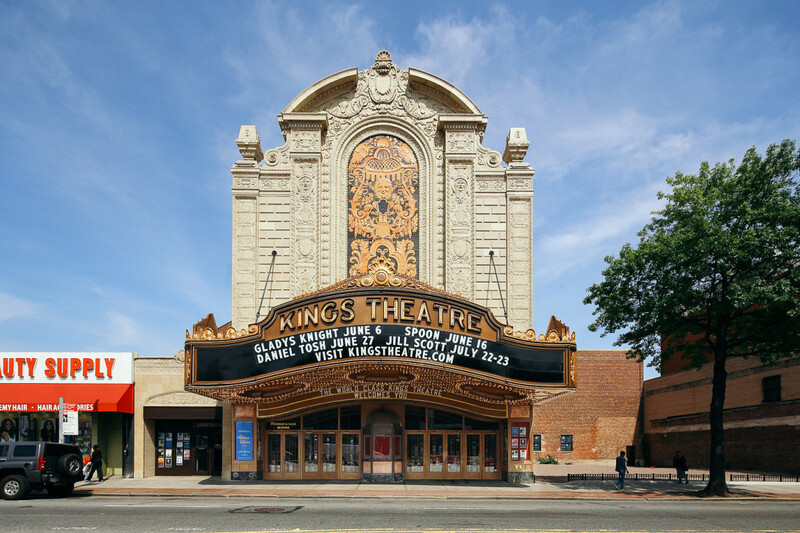 The newly restored Kings Theatre features high curved ceilings, ornate plaster walls, wood paneling and a glazed terra-cotta ornamental façade. 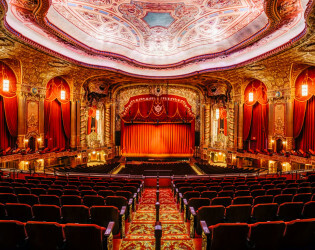 The classic 20th-century movie palace was inspired by the French Renaissance Revival style of the Palace of Versailles and the Paris Opera House. 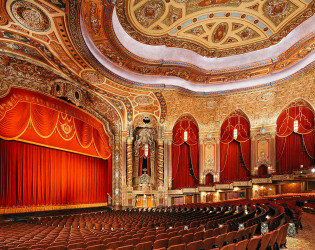 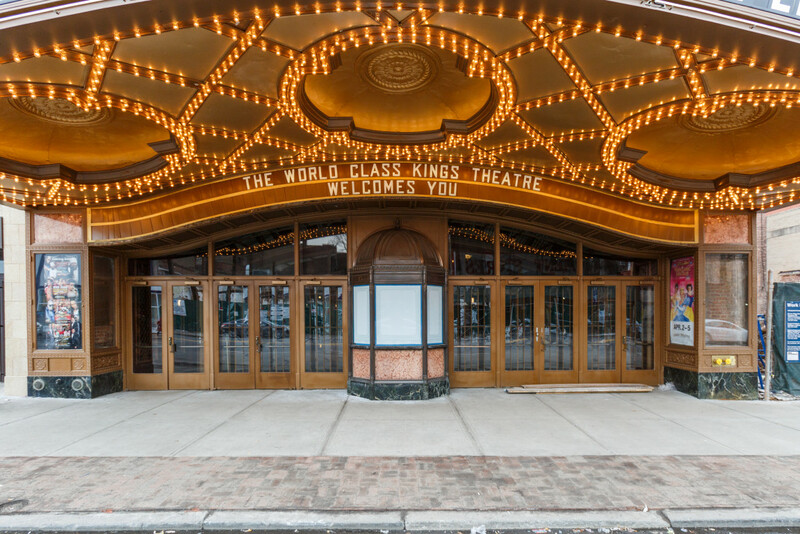 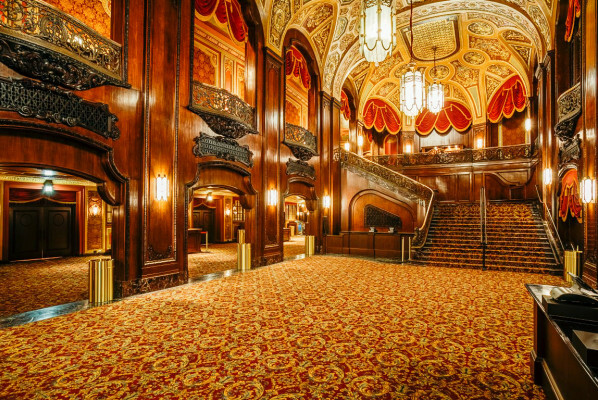 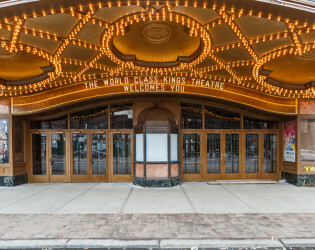 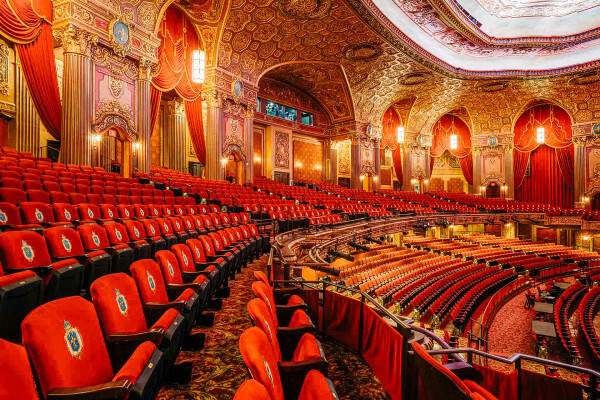 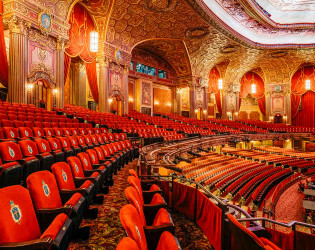 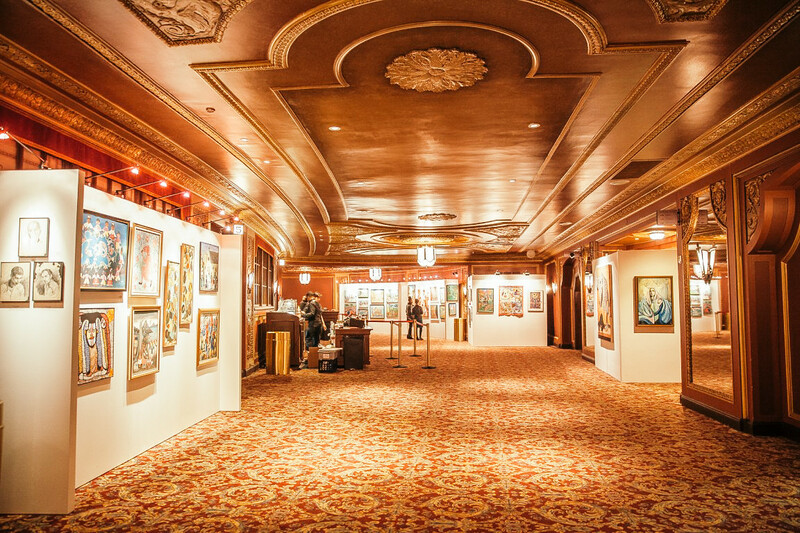 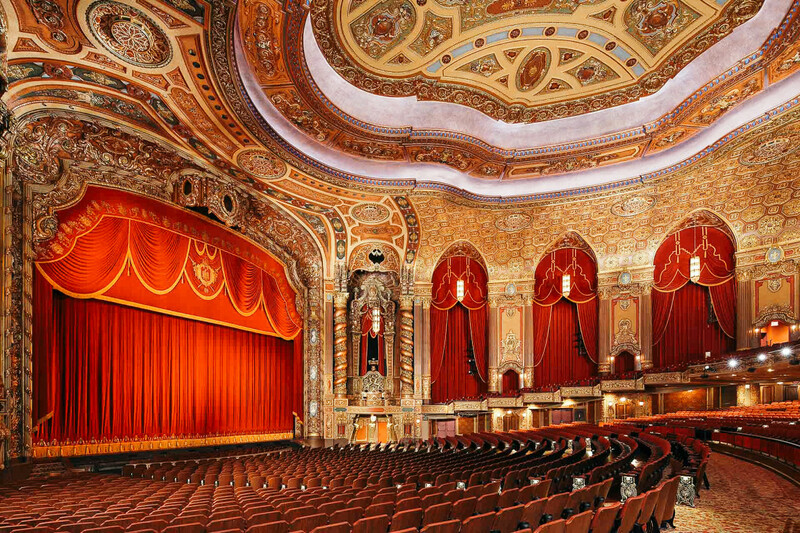 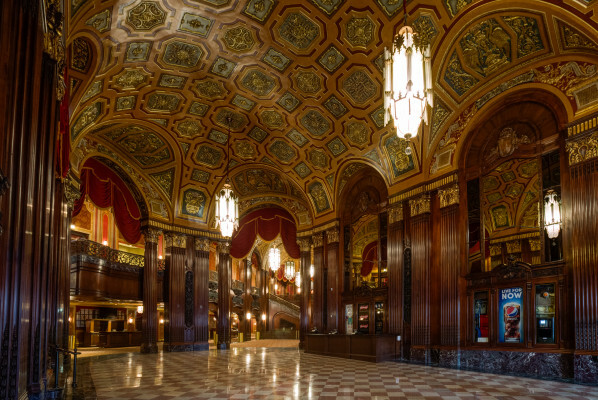 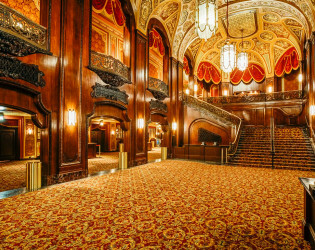 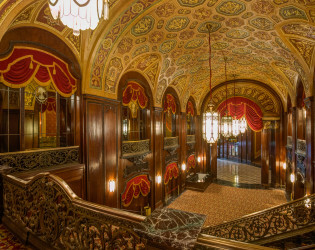 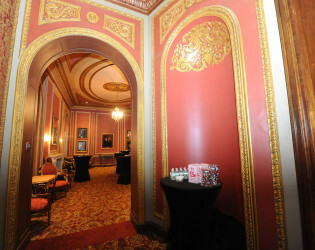 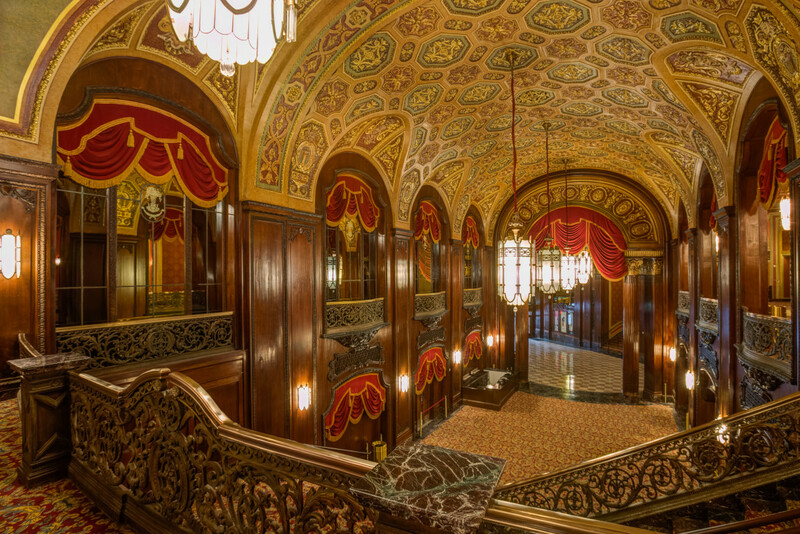 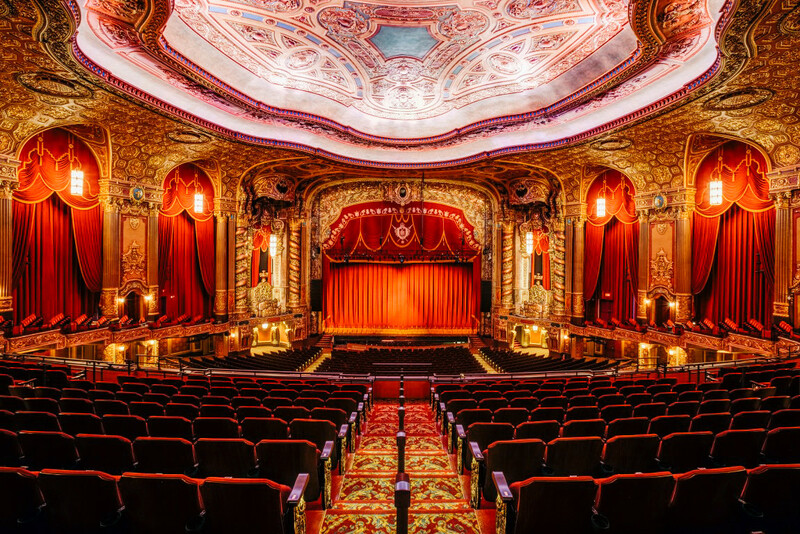 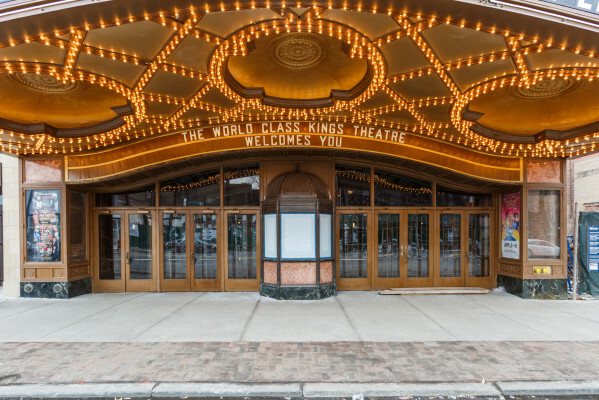 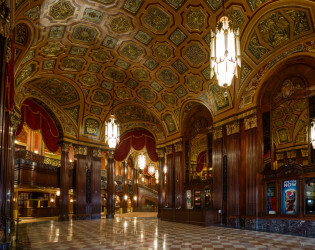 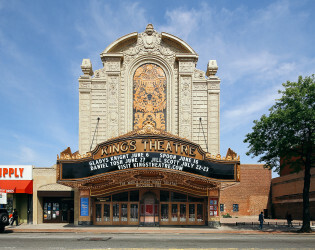 With over 93,000 square feet, Kings Theatre features an extraordinary lobby entrance, 83’ high ceilings, a 90’ wide x 31’ deep stage and an abundant backstage space with dressing rooms, green rooms and production offices. 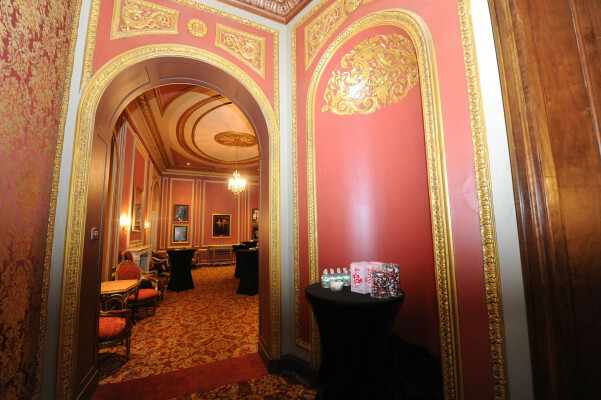 Catering and production fees on top of rental fees.